There are a number of public gardens in Atlanta, but of course my readers know that my personal favorite is the Atlanta Botanical Garden. As I've shared before, I've been visiting there since 1987, so it's hardly a stretch that say that it's my favorite place in the City. And for those who do not know, my favorite place within the Garden—and that's not an easy selection—is the Japanese Garden, which predates the formation of the Atlanta Botanical Garden in 1976. Today is National Public Gardens Day and if you visited a public garden, that's absolutely wonderful! If you didn't do that today, I encourage you to treat it like I do my birthday and stretch it out—go visit a garden this weekend, for example, or even next week...just be sure to celebrate the occasion! 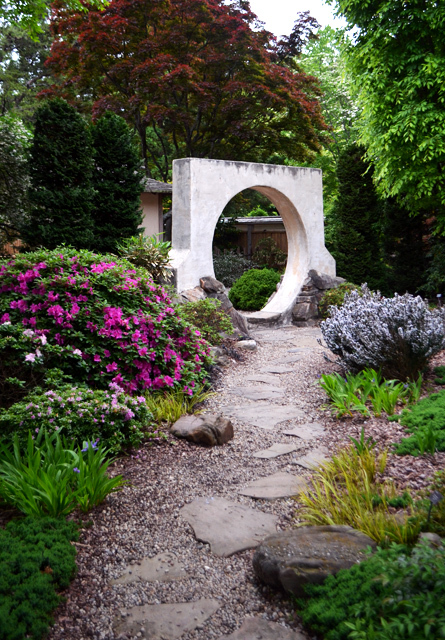 Have fun exploring our City's beautiful Gardens!